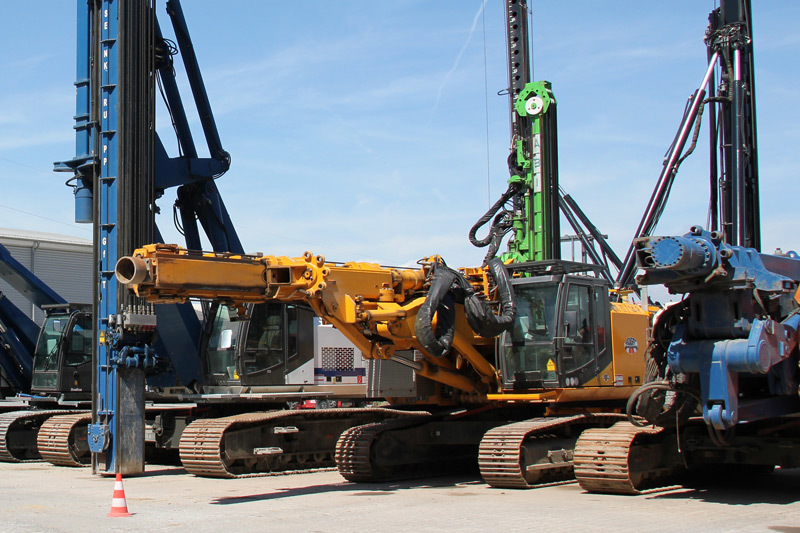 In the rental fleet are on hand ABI MOBILRAM-Systems, BANUT machines and DELMAG drill rigs as well as various attachments inclusive drilling accessories. The department supports the customers with the professional selection of the obtainable machines and attachments for the upcoming job. We present an appropriate offer according to your needs. We can also organise the transport and training on site if required. Furthermore we accomplish repairs and technical changes for the products of ABI Group. The technical customer service supports you with spare part needs as well as for technical problems. ABI machines are locally serviced and repaired by our technicians in nearly all cases. With a fast arrival of the technicians, usually in the next 12 hours within Germany, we try to reduce the service costs. Also 24 hours on-call service can be contractually agreed if necessary. Spare parts are sent by overnight service if requested, so with an order prior to 18,00 o'clock they are available during the next morning within Germany. Down times on sites can be reduced by getting back to the rental fleet.